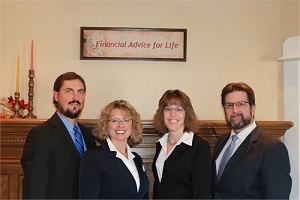 Schulfer & Associates, LLC Financial Professionals is an independent firm specializing in personal investment management as well as comprehensive retirement and wealth planning. Independence means we do not work for a specific investment corporation, bank or insurance company therefore, we are able to provide you with independent, objective investment management and financial advice. That's where Schulfer & Associates, LLC Financial Professionals comes in.